A review of Drew Hayden Taylor’s “A Culturally Inappropriate Armageddon Part II: Old Men and Old Sayings ” in Take Us to Your Chief And Other Stories (Douglas & McIntyre, 20160. Indigenous people have been accustomed to alien invasions and the decimation of land and culture and Drew Hayden Taylor adapts the history of colonialism to new frontiers of science fiction in his book Take Us To Your Chief and Other Stories. In A Culturally Inappropriate Armageddon Part II: Old Men and Old Sayings, Hayden Taylor focusses on an old man, Willie Whitefish, and his experiences of care homes, but, beyond that, he explores Willie’s history of surviving residential schools and his unique ability to see potential warning signs when he hears about an approaching alien space ship. Willie’s history of dealing with a violent, colonial government has prepared him for what he (and the rest of the world) is likely to experience. Although ignored by most of the PSWs in the care home he is living in, Willie reflects on his knowledge of history “everything from Columbus straight through the Pilgrims landing at Plymouth Rock, to the Traill of Tears, to the impact of the sale of Alaska on the Inuit and the Aleutians”. Willie is aware of what happens with the arrival of strangers from a distant place and that it traditionally means mass murders of the indigenous people of a region and the cultural genocide of those people in following generations. He points out that people should know better, but, then again, most of the people welcoming these visitors from the stars have been the colonizers, not the displaced and colonized people and therefore that the people excited about visitors from the stars haven’t paid enough attention to history from an indigenous perspective. In “Children of the Sea”, Rati Mehrotra links the changes that come with ageing to the changes that come from environmental damage. In Mehrotra’s tale, age becomes a subject of stability in a changing world and an older woman lives through massive climate change while constantly revisiting memories of a time before global environmental catastrophe. Auntie Benita is the stable figure as her world changes, watching it shift from her African home. The tides encroach on her home like the memory of all of the destruction and damage that has come from other places through the impact of colonialism and industry. Even the “solutions” to the ecological issues disempower her, located elsewhere and often exploitatively taking advantage of her. Benita watches as an ark ship leaves her planet to seek out another one, trying to bring humanity to another planet and colonize and terraform it since human impact on our own planet has terraformed it into something no longer inhabitable. She has observed failed attempts at reversing global warming as the water from melting icebergs gradually encroached on her home, and finally even saw the bodies of her family members altered and changed to adapt to aquatic life that would become a reality on our world. Landscape and memory intersect in this tale, entwined through Benita’s experience, but also through loss as Benita’s memories retreat from her and the tides gobble up the land. Yet, Benita is also able to be a gage for change, observing how her world shifted throughout the years of her life and serving as a witness for readers to remind us to notice how our landscapes change and make alterations to our lifestyle to prevent the kind of crises she experiences. Steampunk has often struck me as a genre that has tended toward overly rosey views of the Edwardian and Victorian Eras. The steampunk tales I have read have often uncritically represented colonialism as adventure, portrayed technology divorced from the horrible conditions of the factories, ignored massive wealth disparity and troubling social conditions. It is a genre that is ripe with neo-futurist possibilities to invite critical engagements with ideas of historicity and presentness, but often forgets the “punk” aspect of itself, the part that invites critical questions and instead pulls down the goggles of nostalgia. 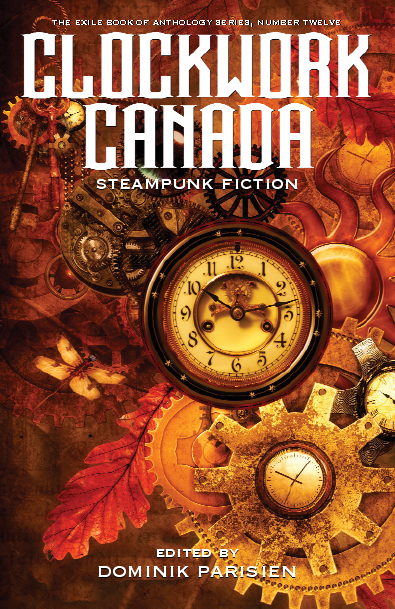 Clockwork Canada: Steampunk Fiction does that critical questioning, inviting a history filled with possibility. The stories in this collection invite critical questions about the way that we view history and the relationship we have to the past. While inspiring an interest in local histories and tales, it also reminds the reader of all of those stories that get stuck in the cogs of the machines of nation-building and invites us to oil the machines and seek out new stories and new ways of viewing the past. The regionalism of Clockwork Canada, its setting within a national boundary, invites readers to question canonical tales of history and our founding origin myths by asking who benefits from the history that we tell ourselves and what erasures have been part of the construction of this thing we call “Canada”. These tales question the stories we tell ourselves by providing alternative stories, stories that highlight people and groups that are under-represented in our national myths. Rather than representing the historical tales that we see in Heritage Minutes or CBC specials, the stories in Clockwork Canada highlight the oppression of indigenous peoples in Canada, border conflicts, representations of disabled people, labour conflicts, the exploitation of Chinese labourers on the railroad, Canada’s head-taxes and borders closed to immigration … all of the narratives we erase in constructing ourselves as a Just Nation. 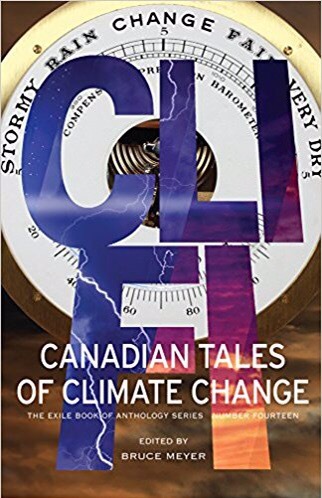 These are tales that speak back to erasures and the editing of Canadian history to include only canonical narratives that focus on Canada as a place of tolerance, acceptance, and openness. Clockwork Canada reminds readers that the idea of “nation” is itself a story that we tell ourselves to hold us together and that that story, that history, can be divisive, damaging, and harmful. The multiplicity of stories in Clockwork Canada invite readers to think of our nation as a storied space, filled with a multiplicity of voices. These steampunk stories punk canonical narratives and invite readers to question the history they encounter. This isn’t nostalgia fiction, these stories are all about gearing up for a critical take on history. As much a horror tale as it is a steampunk story, Kate Heartfield’s “The Seven O’Clock Man” evokes the powerlessness of youth. Heartfield constructs a community where the late mayor had built a clock with a clockwork automaton in it who seeks out any children who are awake past 7 o’clock to turn them into wood. The mayor had viewed order and control to be central to his city, believing that the best means of exerting control was to create a persistent threat to the children of the community, punishing them for disobedience of community rules that are imposed on them. Like many communities that use fear as a means of securing power, the mayor made certain that any of the children who were turned to wood would become part of the clock, peaking through the clock’s doors when the clock struck the hour. The children held within the clock were frozen in horrified immobility, able to see the world, but controlled by the mechanisms of the clock, exhibiting the horror of absolute powerlessness. As much as “Seven O’Clock Man” is a discourse on the powerlessness of childhood it is also a narrative about systems of colonial power. The mayor of the city was particularly interested in controlling aboriginal children, viewing them as a threat to the order of the city. He constructed the clock in order to force his notion of decorum onto the population of aboriginal children, symbolically representing the horrors visited upon aboriginal children in the residential school system where children were similarly taken away, locked up, and subject to threats and violence all in the attempt to force children to conform to colonial cultures. Most of the children frozen in the clock were Mohawk and the man who the mayor forced to wind the clock was also a man who came from a Mohawk family – Jacques. Jacques is forced to continue to wind the clock because his son has clockwork gears installed in him that wind down if the clock is not wound. Heartfield brings attention to the depression and post-traumatic stress that comes from systemic colonial control and threats when Jacques’ wife Marie-Claire (a former slave) experiences regular depressive episodes, freezing in catatonia while her husband winds the clock. Her life of horrors shapes her ability to interact with her family and her frozen state mirrors the frozen state of the statues subject to the punishment of the figure in the clock. Heartfield creates a sense of creeping horror with “The Seven O’Clock Man”, evoking the fear of being made powerlessness, subject to someone else’s will, and the emptiness that flows from being denied expression. In this episode of Speculating Canada on Trent Radio, I explore Afrofuturism and particularly focus my examination on the work of Canadian author Nalo Hopkinson. Even though I am not a black person myself, I felt that it was important to examine Afrofuturism as an important contribution to imagining black futurity and to science fiction in general. In this episode I examine the important interconnection between imagining a new future for black populations in Afrofuturist texts, but also the importance of acknowledging the history of oppression that has shaped the lives of black Canadians. Afrofuturism provides a space for imaging new possible futures, for questioning the status quo, and for asking critical questions about the continued oppression of black Canadians and African Americans. My examination of the work of Nalo Hopkinson focuses on her ability to examine complexities and intricacies involved in imagining utopian future possibilities while examining the way that colonialism, slavery, diasporic experiences, and oppression have shaped the lives of people. Premee Mohamed’s “The Adventurer’s Wife” plays with the traditional images of the adventurer in a strange land. Mohamed plays with the problematic trope of the western adventurer when she explores the traditional features of the adventure story where the adventurer steals from sacred sites of non-Western peoples, exploits the stories of indigenous populations for his own benefit in publications, and falls in love with and brings home a young woman from Africa. Mohamed complicates these tropes by illustrating the repercussions for some of these exploitative colonial actions by having the older adventurer Penhallick have to face some of the ramifications of his actions. When he is told not to remove artifacts from a sacred site and does so anyway, Penhallick experiences a degradation in health and becomes part of something larger than himself, having made an accidental deal by removing artifacts from sacred locations. The much younger woman, Sima, who he takes back home from his adventures abroad ends up illustrating that, rather than the passive subject that most adventure stories construct, she is an active agent of her own desires. Exploring the notion of the silencing of colonial subjects, “The Adventurer’s Wife” explores Lovecraftian Silent Ones, old gods from before the gods could speak, playing with the notion that the colonial exercise has been one of silencing the people that it exploited, using them to create adventure stories while ignoring their actual voices and their own stories. Penhallick ignores everything he is told by the indigenous population of the village he explores while seeking out his own stories to tell at home, paying no attention to what he is told by the people who have knowledge of the region because he de-values them outside of the parameter of being characters in his own adventure narratives. Premee Mohamed reverses the trope in adventure stories that curiosity is an innocent pursuit by illustrating the damaging nature of colonial ‘curiosity’ and the exploitation that comes along with it. She illustrates that colonial exploration is an activity that is shaped from notions of privilege that allowed western adventurers to take from the Others that they constructed, treating them as resources to be mined for cultural stories and artifacts that could be used to wow people back in the West. 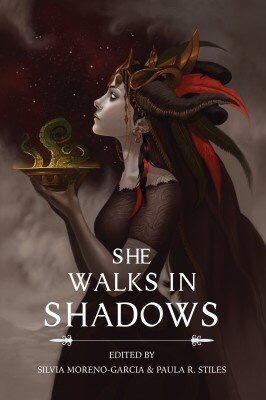 To discover more about She Walks in Shadows, visit Innsmouth Free Press’ website at http://www.innsmouthfreepress.com/blog/books/she-walks-in-shadows/ .